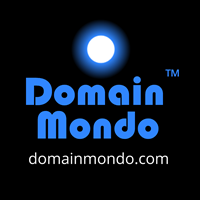 Q: “We have a question actually, series of questions from John Poole, the editor of domainmondo.com. As disclosed by Professor Milton Mueller in a tweet dated October 14, 2015, when exactly did ICANN join INTA whose membership list is not public? How much has ICANN paid INTA including membership dues? Please identify the ICANN officer who authorized this transaction. and what other lobbying organizations ICANN has joined as a member, the date it joined, the ICANN officer who authorized each identified transaction, and whether and when the ICANN Board of Directors was informed of any of these transactions and the reason none of these memberships have been heretofore disclosed by ICANN. Whether ICANN ever inquired of legal counsel whether such membership in own nonprofits -- excuse me, in such advocacy and lobbying organizations were violative of ICANN's own nonprofit status under California law or the Internal Revenue service Code of the United States of America, whether ICANN has in place an ethics code or conflict of interest policy for the ICANN corporation, its staff and officers which would bar ICANN from expending funds or becoming a member of such an advocacy or lobbying organization, or collaborating with such organizations' members who regularly engage in advocacy concerning issues within ICANN's mission and purpose. And finally explain how ICANN, its staff and officers are now [not] disqualified from participating in any ICANN rights protections review, particularly after ICANN staff “coached” INTA membership how to lobby ICANN in the upcoming rights protection review as revealed in the article cited by Professor Mueller." >>Mike Silber [ICANN Board Member]: If I can possibly intervene on that question before we hand over to staff, if they have a more substantive review. I think there were a lot of very dense questions asked over there. And it's incredibly difficult if somebody's expecting an answer to that series of questions, having been read out scrolling up on the screen, to actually answer all of that comprehensively. So can I really suggest that if you want to ask that sort of multi-part question in this sort of forum, you send it through way ahead of time so that staff have an opportunity to prepare the detailed responses? Because I don't think it's capable of being answered on the cuff. And then when we say we'll get back to you, then people get upset with us. So really, help us to help you in the form that questions are asked. If you want a general answer, I think we can ask staff to address that question, but if you want those detailed responses to each and every sub item of the question, let's make take that part of it offline. >>Fadi Chehade: shall I answer this in arabic? >>Erika Mann: Yes, we had an exchange on the Board, so please give the answer. >>Fadi Chehade: So I think following my colleague's good comment, we promise to take the transcript of this question and to get back to the -- ask the person who laid it out with an answer. but at least the high-level -- if I could just give a high-level view of this, we have joined INTA as a nonprofit organization status which costs us 600 U.S. dollars per year. It gives ICANN employees that are interested in utilizing professional educational programs the ability to access the many, many INTA publications and resources, and to also receive significant discounts when attending INTA meetings. So we do have staff members and Board Members who have individually and on behalf of ICANN attended and participated in open conferences of INTA for many years. This is way before, you know, I started. So this has been an established activity. INTA meetings and conferences frankly offer us something specific called continued -- continuing legal education which is required, and ICANN has over 20 attorneys across our staff who, by requirements of the bar, need to continue their education. and so they use this very small fee to basically access a vast amount of courses. It saves us, all of us, a lot of money for them to get this access. Now, I just want to be clear that ICANN has not taken any position on any INTA policies, has not. And we have not attempted to influence or develop INTA policy positions. Now, as an INTA member we are entitled to one vote out of something like 1,000 at meetings of the association. but ICANN -- [bell ] but ICANN has not exercised that right ever. So just to be clear on it. however, the questions were numerous. we will take them and address them fully to the person who sent the question. thank you. >>Brad White: a question from Kieren McCarthy directed to Fadi Chehade. At the last public forum at Buenos AiresIasked if ICANN would provide details for the lobbyists in washington, dc and how much they paid them. fadi said he would provide those in an email. unfortunatelyIhave not received an email. I have since done some research. i can provide records about public law. the amount it spent on lobbying in its tax forms. According to those records ICANN has hired three main lobbyists, including one staffer, and spent $576,000 in 2014. However, it is also the case that ICANN has hired a significant number of other lobbyists over the IANA transition and has used a loophole in congressional rules to not publicly disclose them. most significantly ICANN has hired at the cost of millions of dollars Stephen Hadley and former secretary of state madeleine Albright, ICANN hires further three lobbyists including three former senior commerce staff. while ICANN ensure that is the community does all of its work on the IANA transition in public and with full transparency and considering that ICANN has specifically raised concerns about the money being spent on legal advice for the accountability working group, will ICANN commit to being similarly transparent about the people it hires to carry out its work and the amount of money it spends on their services? as a specific suggestion, ICANN could live up to its stated goals of transparency by introducing a budget line item simply called "lobbying" and introduce the real amount it spends on outside lobbying companies. Will ICANN staff commit to this same level of openness that it demands of its community? >>Fadi Chehade: Kieren, I had asked you to send me a letter asking me for what you want and you never did. So I ask you again, in front of the whole community, to please write down exactly what you're looking for, if this is what you just asked, great. If you want to publish an article with the question, do. Send me the question, and we'll answer you. It’s that simple. But we did not get a formal request from you. We told you at the time everything we do is on the web site. It is on the web site. That’s how you found your numbers. That’s how you gave the facts you just did. So we are transparent. So please, if you have specific requests, send them in writing. Kieren McCarthy: The only thing Chehade said was: "We'll send the answer by email and help him find the links." Kieren McCarthy: Follow up question send in: A quick follow up on Fadi Chehade's response to my question.Mr Chehade said that he had asked me to send an email asking for details and that ICANN had not received one, so no information on the money spent on lobbyists has been sent. Unfortunately that is simply not true. If you look at the transcript of the forum, the sole response was: "We'll send the answer by email and help him find the links. "So two questions: 1. Does ICANN believe it is only obliged to provide information over how it spends its money in response to community demands ? 2. Will ICANN commit to the same level of openness that it demands of its community by introducing a budget line called "Lobbying" and introduce the real amount it spends on outside lobbying companies? Thank you. >>REMOTE INTERVENTION: FIRST QUESTION IS FROM KIEREN McCARTHY. A QUICK FOLLOW UP ON FADI CHEHADE'S RESPONSE TO MY QUESTION. MR. CHEHADE SAID HE HAD ASKED ME TO SEND AN EMAIL ASKING FOR DETAILS AND ICANN HAD NOT SEEN ONE SO NO INFORMATION ON INFORMATION TO SPENT. THAT'S NOT TRUE T. SOLE RESPONSE WAS WE'LL SEND THE ANSWER MY EMAIL AND HELP MINIMUM FIND THE LINKS. SO TWO QUESTIONS, ONE, DOES ICANN BELIEVE IT IS ONLY OBLIGATED TO PROVIDE INFORMATION OVER HOW IT SPENDS ITS MONEY IN RESPONSE TO COMMUNITY DEMANDS. TWO, WILL ICANN COMMIT TO THE SAME LEVEL OF OPENNESS THAT IT DEMANDS OF ITS COMMUNITY BY INTRODUCING A BUDGETS LINE ITEM CALLED LOBBYING AND INTRODUCE THE REAL AMOUNT IT SPENDS ON OUTSIDE LOBBYING COMPANIES? >>WOLFGANG KLEINWACHTER: OKAY, FADI, CAN YOU RESPOND ONCE AGAIN? >>FADI CHEHADE: SURE. MR. McCARTHY, LET ME SET THE RECORD STRAIGHT AGAIN, WE HAVE PUBLISHED THE LINKS AND A TWEET AS WE SAID. IF YOU HAD MORE QUESTIONS, YOU SHOULD SEND THEM. YOUR QUESTION EARLIER, YOU SHOULD KNOW, WAS NOT ACCURATE. IT INCLUDED MANY MANGLED FACTS. FOR EXAMPLE, YOU LISTED COMPANIES LIKE RGM, THE COMPANY OF CONDOLEEZZA RICE AS A LOBBYIST. THEY'RE NOT LOBBYISTS. YOU'RE MIXING THINGS. SO THAT'S WHY I SAID SEND US A VERY CLEAR LETTER, EXACTLY WHAT IS IT YOU NEED, AND WE'LL BE VERY HAPPY TO ANSWER YOU CLEARLY. AND IN TERMS OF DETAILS, JUST FOR THE REST OF THE COMMUNITY, OUR LOBBYING ACTIVITIES BY LAW NEED TO BE DISCLOSED. WE DISCLOSE THEM. THEY'RE ON OUR WEB SITE. COULD YOU SHOW THE LINK, PLEASE? IF YOU GO TO OUR WEB SITE, YOU SO PICK UP STRAIGHT FROM OUR 990 FORM EXACTLY HOW MUCH WE SPENT LAST YEAR ON LOBBYING. THIS YEAR, WE'RE ON TRACK TO SPEND A LITTLE MORE THAN THAT, CLOSE TO $700 THOUSAND. AND BY NEXT YEAR, MY GUESS AFTER THE TRANSITION IS THAT THESE COST WILLS PROBABLY BE HALVED. SO THIS IS JUST TO GIVE YOU A SENSE THAT THIS INFORMATION IS OUT THERE. NOW, YOU HAD MIXED OTHER FIRMS WE USE, CONSULTANTS, PROFESSIONAL SERVICES, AND THOSE COSTS ARE PART OF THE TRANSITION. SO IF YOU GO TO THE SECOND LINK, PLEASE SAVE YAY, YOU WILL SEE ALSO THAT WE PUBLIC ALL OF OUR COSTS ON THE TRANSITION. IT'S ON OUR WEB SITE. I KNOW YOU KNOW WHERE THEY ARE. AND EVERYBODY KNOWS HOW TO FIND THEM. PLEASE GO LOOK AT THEM. AND IF WE NEED TO PROVIDE MORE DATA, WE'RE HAPPY TO DO SO. SO PLEASE, IF THERE ARE FURTHER QUESTIONS, WE'LL BE VERY HAPPY TO ANSWER THEM. BUT LOBBYING IS LOBBYING. IT'S DEFINED AS WORKING WITH PEOPLE THAT HELP US WITH GOVERNMENT AFFAIRS. AND THAT LOBBYING IS DISCLOSED FULLY CLEARLY. OTHER ACTIVITIES ARE ALSO DISCLOSED AS PART OF OUR PROJECTS, AND IF WE CAN BE FURTHER CLEAR TO YOU, DON'T HESITATE TO LET ME KNOW.